We are Archadeck Outdoor Living, North America’s leading designer and builder of outdoor living spaces such as decks, porches, sunrooms, pergolas and much more. We seek professionals with established expertise in residential design, the ability to identify customers’ requirements and design and sell our custom building solutions. Previous sales experience is a plus, but strong interpersonal communication skills are required, as are excellent customer service skills and a strong work ethic and ability to follow our documented processes. Responsible for meeting with customers, presenting the benefits of doing business with Archadeck of Central CT, discussing and understanding customers’ project needs, presenting material and design alternatives, creating designs, delivering proposals and signing contracts. The Design Consultant is the face of Archadeck to new customers and must represent the Company in a professional and competent manner. The ideal Design Consultant has had successful experience with in-home selling and has a strong background/understanding of residential construction. This position is commission based, with significant earning potential for the successful candidates. • Meet with customers at their homes to discuss the services Archadeck provides and to understand the wants and needs of the customer. • Compile a sales proposal, including drawings and pricing (using tools provided). Present the proposal to the customers at a second visit. Answer all questions and concerns. Sign contracts with the customer. • Submit information to corporate office so that blueprints and renderings may be compiled. • Review all job information with construction personnel so that all customer expectations are clearly understood. • Assist production personnel with any customer relations concerns that arise. • Perform diligent follow-up on all outstanding leads. Leads provided by Archadeck through various marketing efforts. • Stay abreast of new product developments, costing/pricing tools, etc. 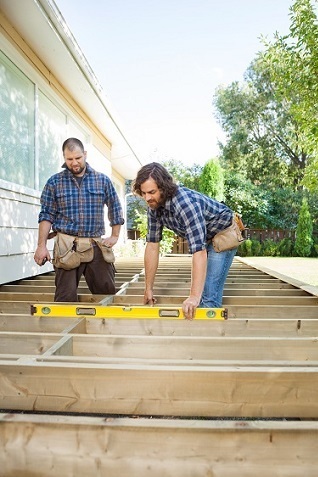 Archadeck is always on the lookout for responsible, reliable crews of 2-5 carpenters to build decks, porches and outdoor rooms. We offer fair pay and consistent, year-round work. We handle all of the selling as well as the job design. We provide you with blueprints prior to the job starting. We handle material ordering. Our construction superintendents are frequently on site to resolve any questions as they arise. We pay you as key milestones are completed. Our successful crews do 90% of their work for us and have worked for us for a long time. To qualify as a crew for us, you need to have your own company set up, and you must carry both workers compensation and general liability insurance. You must have knowledgeable, skilled, experienced people working for you. You must have the standard tools and reliable transportation necessary to do this type of work. We value consistency, reliability and, most of all, quality work. Our customers expect their projects to be built correctly and quickly, and we expect our crews to deliver on those expectations. Note that our construction crews are not employees of Archadeck. They are independent subcontractors who own and run their own businesses. They are free to do work for others in addition to the work they do for us. They manage their own time (as long as they meet the expectations of our customers), and are responsible for their own employees and tools, etc. Any income paid to our sub-contractors will be reported on form 1099 at the end of the year, and they are responsible for paying the related taxes. • Review job specs, blueprints, renderings, bill of materials, etc. with the Construction Manager prior to start of job. • Demo job sites as needed. Coordinate municipal inspections with the Construction Manager to avoid downtime. • Work reliably every day from job start to job finish (except weekends). Ensure a high quality of work on an ongoing basis. • Maintain a clean job site. • Maintain a professional atmosphere on the job site. 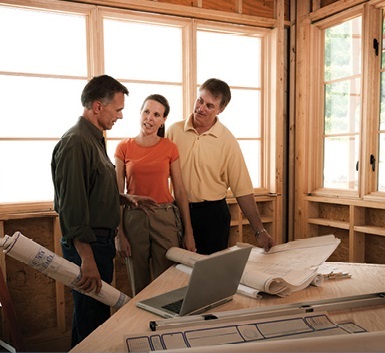 • Coordinate with the Construction Manager about any missing materials and resolve problems quickly as they arise. • Complete follow-up punch list items on a timely basis.